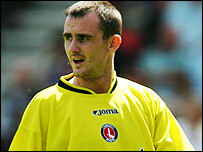 Blackburn have completed the signing of Francis Jeffers on a free transfer. The 25-year-old - who was released by Charlton in May - has signed a two-year deal with the Ewood Park outfit, with the club having an option on a third. "I spoke to a number of clubs but once I spoke to manager Mark Hughes my mind was made up," Jeffers told Blackburn's official website. "These are exciting times for me. I've had a couple of difficult years but I've no doubt that I can still do it." He added: "Given a fair crack of the whip here I'm sure I can get back to my best and take this club forward. "It has been a busy couple of days but what a fantastic move for me, I can't wait." Jeffers struggled to hold down a regular place at Charlton under former manager Alan Curbishley and has also struggled with injuries. He started his career at Everton - playing alongside Hughes - before joining Arsenal in 2001 and then moving on to Charlton.